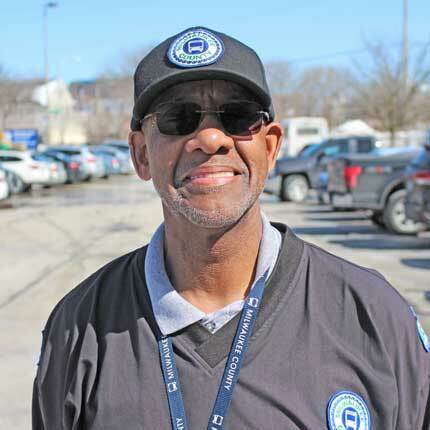 MCTS Driver Tim Boone was training a new bus operator on the GreenLine when one of their passengers fell on a slippery sidewalk. Tim rushed to help the man. With the help of some other riders, Tim got the man to his feet and made sure he was not seriously injured. The man thanked Tim for helping. His act of kindness was also noticed by others who posted about the incident on social media. Hey, @ridemcts, Greenline driver who was at Mich&Water at 6:12 this morning just stopped everything and helped a man who had fallen hard. Please commend him. Tim's actions earned him the title of WISN TV's Person of the Week. Thank you Tim for your kindness and MCTS Excellence.